I’ve been using Slack for a couple of years now and continue to be impressed by the increase in communication I feel it brings to projects and teams. Bots and apps have been a great evolution, that if used correctly, can easily bring teams closer with their tools. It’s a great central source of information with hundreds of apps and integrations available. I’m going to show how we can easily push notifications to Slack from Tridion. Tridions built-in notification system is great, but the notifications can often go unnoticed if the user isn’t a daily content manager user. For higher priority notifications, we can easily setup push notifications to Slack channels to let users know when an item comes back from workflow, a new user has been added, or anything else that can be triggered via the event-systems event handlers. You read read more about implementing event handlers and what’s possible here in SDLs official documentation. The setup is pretty simple. We’ll setup a simple Slack app, enable webhooks and write a simple event-system trigger to push the notifications via the hook. The first thing you need to do is setup a Slack workspace and login. Once logged in, go to “manage apps” which is available as an admin of the workspace. Creating the app is easy. Give it a title and a description. You can add an icon for the bot posted to Tridion later on. Note down the Webhook URL. That’s the webhook you’ll push to via the Event System. Create a class that extends TcmExtension and subscribe to an event. In the example I’ll show, I am going to be setting up a notification in Slack each time a page is published. // TODO : Update this URL with the webhook in your slack application. /// Default constructor to subscribe all of the events. /// On publish of a page, post that the page has been been in slack. 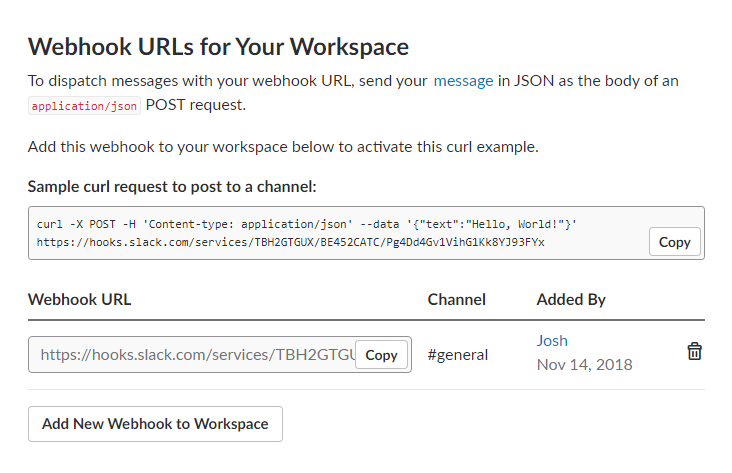 /// Client to submit POST requests to Slack via custom app webhooks. 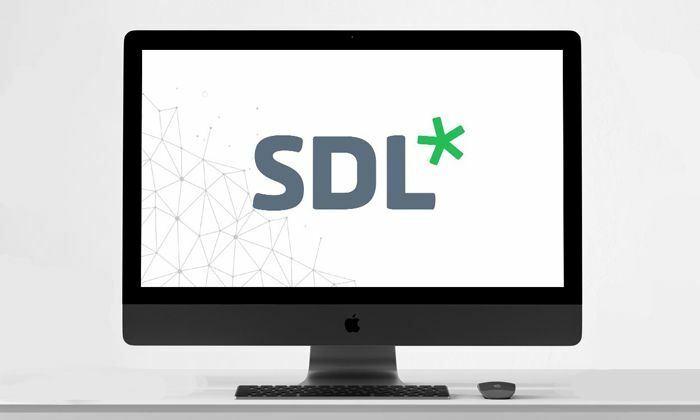 Compile the project into a single DLL and follow along with SDLs documentation on how to deploy the DLL file. Once I have the event-system deployed, I can test it out by publishing a page to see if I get a Slack notification when the publish is successful. That’s it – simple as that. Of course this is a pretty simple example, but it can easily be extended and integrated into existing event handlers which push notifications to the content manager through the notification API.